Fun fact: the Caesar salad we know and love isn’t named after that infamous emperor. It’s actually named for an Italian-American restaurateur whose first name was Caesar. He created it (so the story goes) in 1924 when he threw together what few ingredients he had in his restaurant’s kitchen after a rush of customers caused a shortage. And the salad certainly wasn’t invented in Rome--Mexico is its birthplace. History lesson over. Now let’s enjoy the Caesar salad you love-- without a fork! 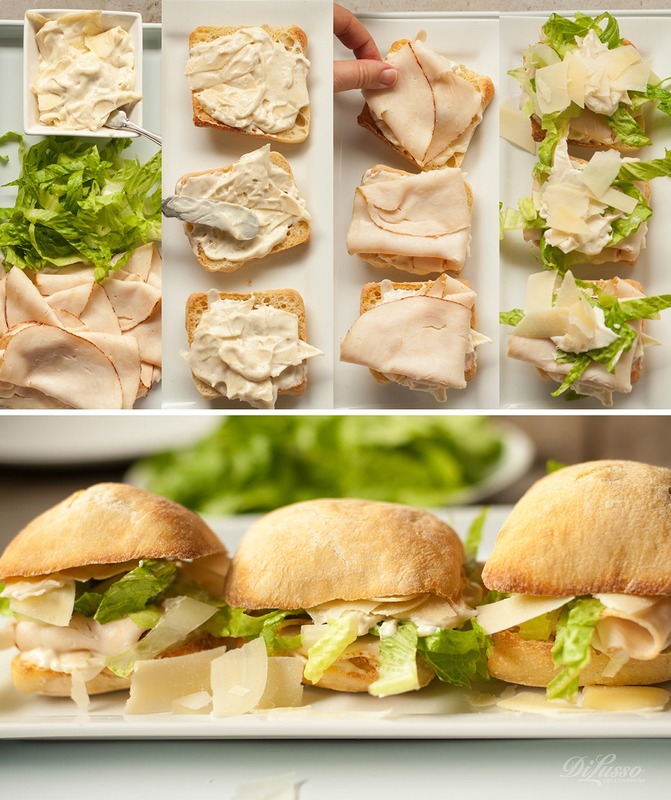 Just add bread and chicken or turkey, and you’ll have in your hands a luscious, satisfying Caesar Sandwich. Hail, Caesar! Mix your favorite Caesar dressing with ¼ cup mayonnaise and ¼ cup shredded fresh Parmesan cheese. Spread dressing on a toasted ciabatta roll. Add 2-3 slices DI LUSSO® Oven Roasted Chicken or DI LUSSO® Sun-Dried Tomato Turkey. Top with crunchy Romaine lettuce and sprinkle with additional Parmesan cheese. Top with the top of the roll and serve.